Let me tell you...I like nothing about this mani except that it's about my beloved caffeine. Hahaha I am a coffee geek for sure!! Though it would be appropriate to confess that love and get geeky with it. This is the caffeine molecule in all it's glory. However, I'm not pleased with the outcome. 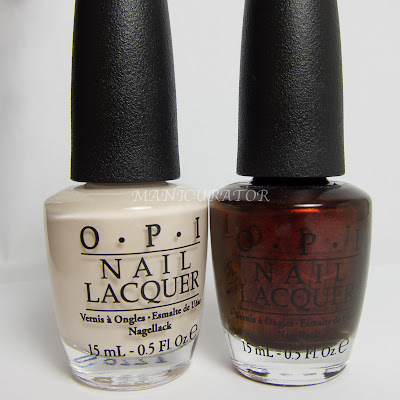 For starters, my base OPI My Vampire is Buff does not play nicely on me. This is the 3rd or 4th time I've tried it. Think I'll give up now. Even after 3 careful coats and top coat, it still has some streaks and bald spots. Boo. So..sad to say I had a bad feeling about this mani almost as soon as it began. I used German-icure by OPI for the lettering. 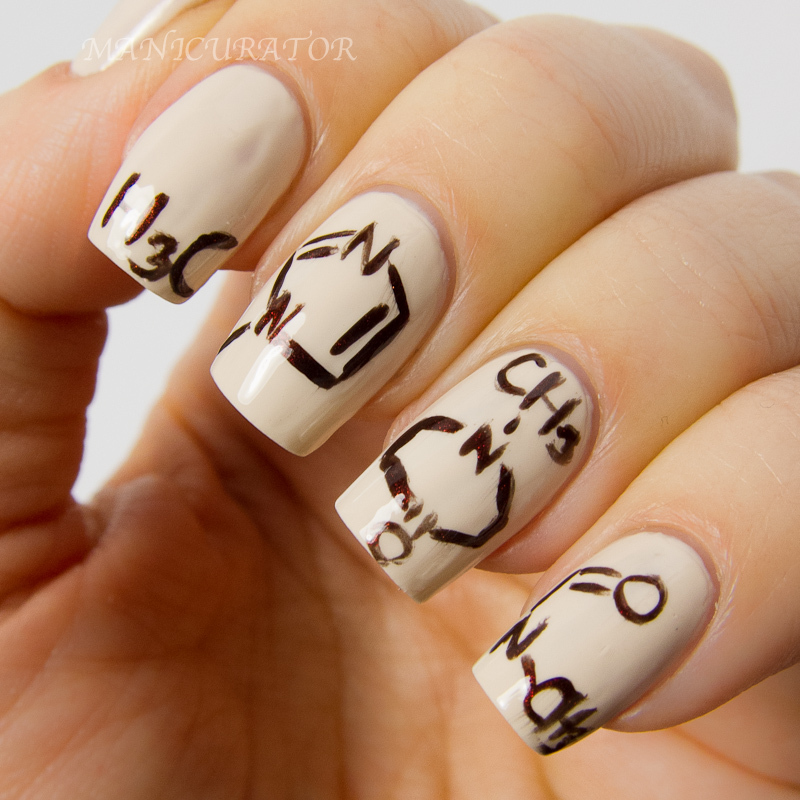 As a science/pre-health major, you've no idea how happy it makes me to see organic molecules on nails. I love it! I think the mani is awesome! I don't like science, so I don't think I will ever wear something like this ;). This is creative- love it! Sou louquinha por um O.P.I! i think the idea AND the mani are both awesome!! give yourself a hug! and big cup of coffee, too! great idea...huge coffee geek here! I love molecule nail art! I saw that you are on-leave from teaching, do you teach chemistry? I love your choice of colour of German-icure instead of just going with black! And I love your blog, I read it every day but this is the first time I comment. being a bit of a coffee addict my self i love this !!! so clever .